I was feeling a bit blue the other day. Partly due to lack of sleep and my twisted ankle. But it got me to thinking about one of my very favorite colors. Blue. Now folks that know me might guess that is my favorite color, as there are subtle hints everywhere in my life and accoutrement. 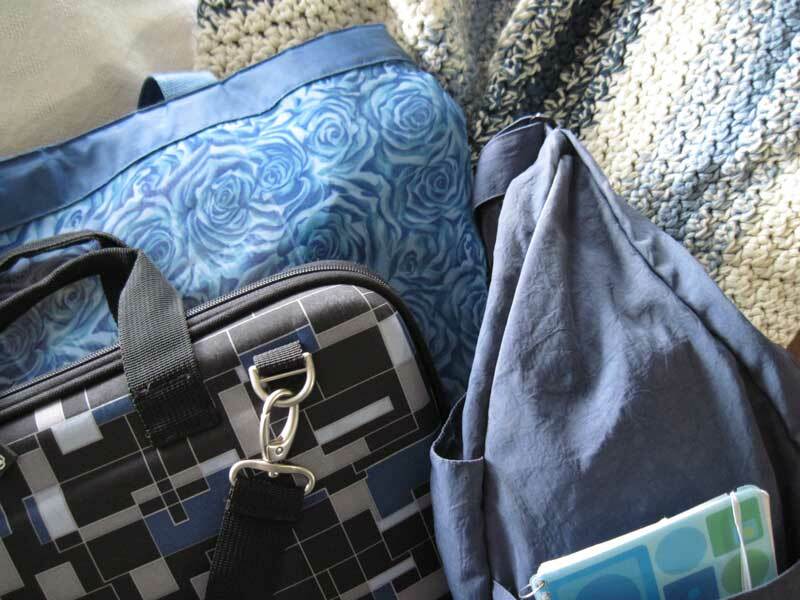 My briefcase has colors of blue, and a sort of retro thing going on too (which I adore). My poor abused “Better Back” hand bag is a denim blue. I wear blue jeans out and about in my public life (though at home I am more a yoga pants gal, and those tend to be black or gray). I have quite a few shirts that are various colors of blue. My design office walls are 2 different shades of blue. I seem to have acquired a number of cobalt blue glass items over the years. 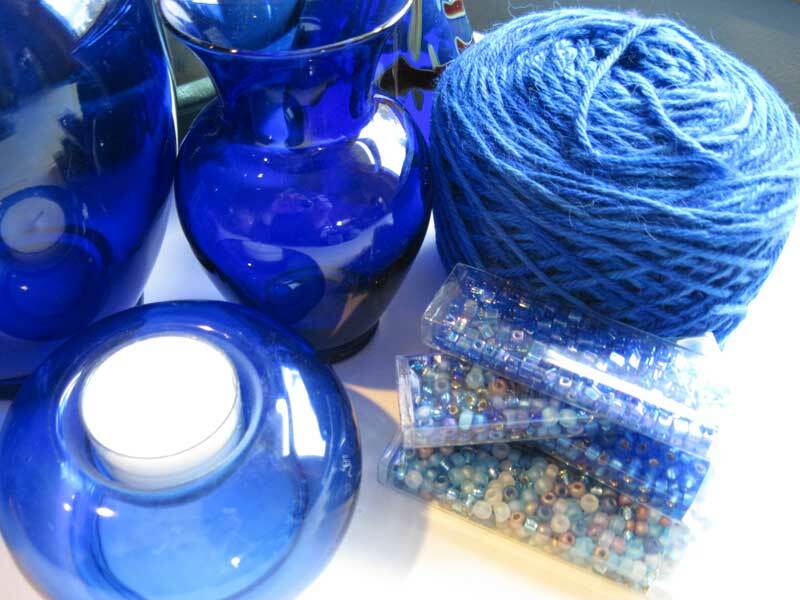 There are also quite a few glass beads of that hue in my beading supplies. 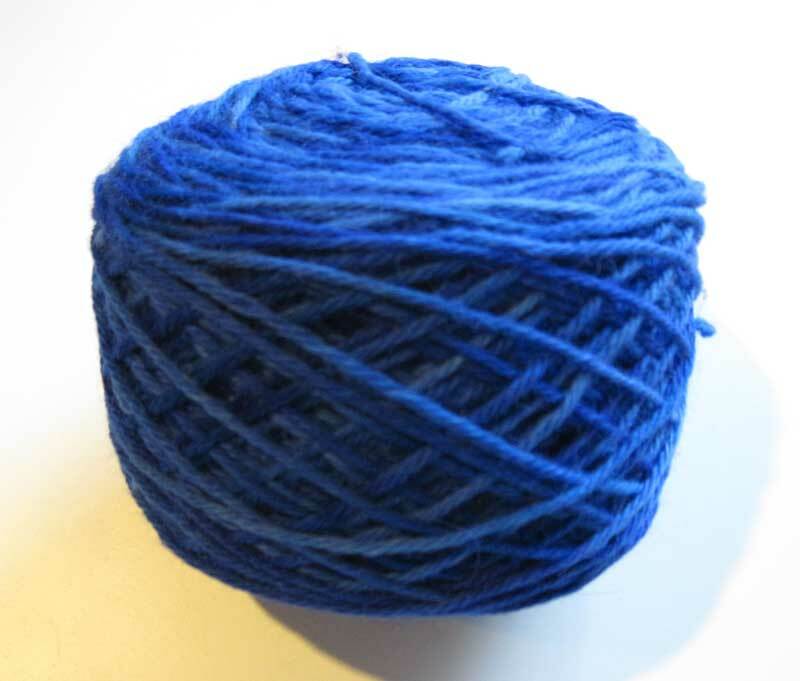 And of course…there is always lots of blue yarn. This particular ball of yarn has been tempting me to make something lovely for myself. I’m not sure that it is the absolute best shade of blue for me to wear, but it is so glorious that I may have to anyway. I purchased it from the wonderful Gypsy Wools shop in Boulder. The owner, Barb Day, dyes the yarn herself and this skein practically jumped off the shelf into my hands. I have worked with this yarn before in other colors. Best of all is the name of the yarn: “Andee”. It is an alpaca and wool blend that is toasty warm. I originally made myself a hat in a green colorway (to go with my coat, which isn’t blue). Sadly I managed to lose the hat somewhere during all my errand running adventures last winter. I’m looking for a project to work on during my flight next week and another hat would be just the right size. I’ll have to be more careful if I do make another hat, don’t want to be blue about losing my new blue hat.